I recently read Love and Logic Magic for Early Childhood. I think one of the biggest problems with the book “Parenting with Love and Logic” is that there isn’t much there for the young children. Most of the examples absolutely don’t apply to a toddler. Thus, a need for this book was very apparent. This book is written by the son of one of the original authors and creators of Love and Logic. An interesting thing about that is that this book was written by someone who would have been raised under the theories of Love and Logic. Now, I honestly cannot decide if you can get by on this book without reading the original. It has great tips, but I am unable to remove myself from what I know from reading Parenting with Love and Logic . I also must say that while there are some tips for the toddlers, in the end, I think the majority of examples given in the book are toward preschoolers and Kindergarteners. It isn’t fully about toddlers. The examples are far more relevant to young children than the first book, though. I do think it is wise for parents to read through one of the two books every one to two years. It really helps you get in the “logic” mode and apply empathy appropriately. It also helps coach you to keep emotions in check. One of the two is a great tool. I am not sure about both. If you have a hard time taking theories and applying them age appropriately (you need specific instructions for specific instances), then the Early Childhood would be necessary. Otherwise, the Parenting with Love and Logic might be sufficient. Now for a rundown of the book. The book starts off with some words of encouragement toward parents to get you pumped and ready to take this on. We then move into the importance of disciplining from the start. It is never too early to start. It then talks about establishing responsibility, empathy, and kindness. Next comes th importance of taking care of yourself and disciplining without anger. We then have more concrete ideas for teaching children about the real world and teaching them that you mean what you say. There is also discussion on how to teach your children to learn from their mistakes and teaching them to think. We then have more talk of the importance of starting early. Then we have common problems that creep up and how to deal with them, and finish up with thoughts on chores. All in all, while there are of course things I disagree with in the book, it was a good book that reminded me of things I need to improve on. It is definitely worth the read. If you have read or own the first book, you might want to check this one out from the library before deciding if you want to own it or not. This book is a fast and easy read and is not as text-book-ish as the first was. You can get through it quickly and come out the other side remembering what you read. For that reason, this could be the one you want for re-reading every one to two years. It is light and fast and can remind you of what you have read in the past. It can also be a great intro for you to see if you want to invest more time and mental capacity into Parenting with Love and Logic . 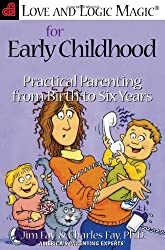 funny you should review this book, as several people have recommended it to me to read in handling my strong willed toddler. I love the love and logic theory – I own this book and it's funny that you reviewed it today because I just recommended it to a friend. just curious how much of this you apply? I find it good for some logical consequences and how to be creative with that. But their idea of almost unlimited choices seems to contradict the "toddler choice addiction" theory. thoughts?Just wondering what parts you apply.For example BW is big on FTO,etc. I think it had great tips and I'm made my almost 4 YO "earn" back her toys taken away (as a logical consequence for not cleaning up). I loved the ideas of how to make them think! Michael and Yvonne, I don't allow unlimited choices. It does contradict the choice addiction. I like the idea taught in my church that you give the child two acceptable choices. "red shirt or blue shirt?" "yellow cup or orange cup" and work up from there.I don't know how to answer "how much I apply." I am a logical person and I much prefer logical consequences over all other discipline practices. I really like the idea of being empathetic about it rather than mad and emotionally manipulative. I guess those are the main points I take from the book. Thank you for this review! I recently checked out the Love and Logic original from the library, scanned portions of it and mostly read chapter 6. I have conflicting feelings about it and it was extremely nice to get the perspective of another babywise mom (and someone who really gets the babywise stuff). My oldest is 26 months and I consider myself fairly strict. Reading through parts of the book was easy to tell that it is not geared toward a toddler who cannot handle such broad choices. *my opinion of course*. I liked chapter 6 and some of that is applicable, but I had two thoughts so far on this book: 1) Maybe come back and read it once my child is in kindergarten or later 2) Not sure I would be as open to such lenient choices on everything. I mean, really? As parents I feel that we are guardians over our children for more reasons than just guiding them through choices. But we can strike a good balance. I may take a look at this "Early Childhood" edition and see how that comes together for me.Thanks again.